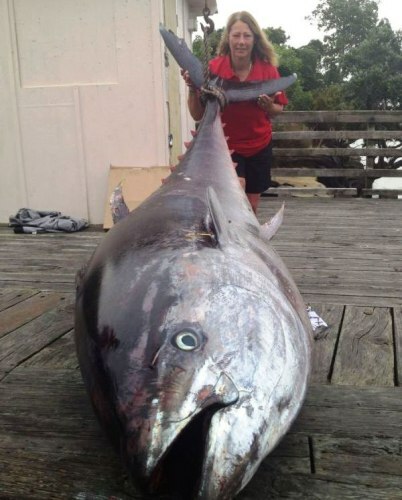 Kiwi angler Donna Pascoe may have set the new IGFA All-Tackle world record for Pacific bluefin tuna – a 907-pound, 6-ounce giant that exceeds the current IGFA record by nearly 132-pounds, 2-ounces! A trout hot spot, a spotted bass tournament win, and a slew of trahira are stirring interest for potential new freshwater IGFA world records this month, along with potential new All-Tackle golden mahseer and tropical gar, both of which outweigh current records by more than 10-pounds Check out the April report to see the hottest new catches made in Costa Rica, Guyana, India, Suriname, and California and Nevada in the United States! This month the biggest potential record in the saltwater world – literally – is the Pacific bluefin tuna caught in New Zealand that outweighs the current All-Tackle title holder by nearly 132-pounds. 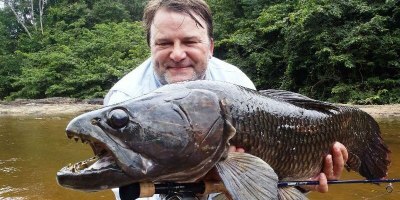 The April round up of potential new saltwater IGFA world records also highlights three record contenders from Australia, Brazil, and Florida in the United States. Check out the king mackerel, spotted seatrout, and southern bluefin tuna catches challenging the bar for line- and tippet-class world records, as well as that incredible Pacific bluefin tuna!